DTS was first released with SQL Server 7.0 with a objective of helping the user in import, export, and/or transform data from various sources to single or multiple sources. Now Data Transformation Services (DTS) has been replaced by SQL Server Integration Services and SQL Server 2008 Setup does not install DTS support. Data Transformation Services (DTS) is deprecated. We should plan to remove dependencies on DTS in anticipation of future releases of SQL Server. so there is a need to upgrage or migrate the DTS to SSIS packages. • Continue to run and modify existing DTS packages. This is not applicable if migrate to SQL 2012 in future. • We can directly import the DTS to SQL Server 2008 and can be utilized. 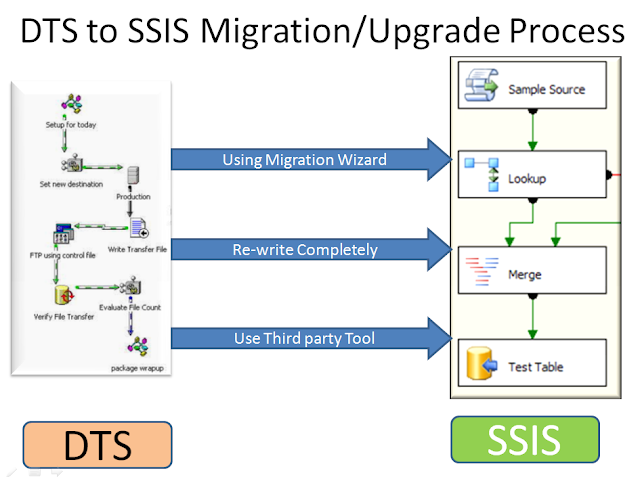 • This approach will not work when need to migrate DTS to SQL Server 2012 because SQL Server 2012 has deprecated all the features of DTS. • Efforts required are more as compare to other approach. SQL Server 2012 Licensing and Pricing Guide. SQL Server - Why SSAS Cube is needed?